AIBD is pleased to announce the opening of call of entry for the AIBD Awards 2019. We are pleased to present this opportunity to all AIBD members and affiliates. Supported by AIBD, this competition will provide the opportunity for television and radio producers to receive international recognition for their work. AIBD is pleased to announce the opening of call of entry for the AIBD Awards 2017. We are pleased to present this opportunity to all AIBD members and affiliates. Supported by AIBD, this competition will provide the opportunity for television and radio producers to receive international recognition for their work. Waste in society can occur in many different forms. There can be household energy wastage, food waste, industrial waste and also issues with waste disposal. What are some of the examples of creative and responsible initiatives to reduce waste in society for a more sustainable future? Gender Equality’ was listed as No.5 on the United Nation’s Sustainable Development Goals. What practical steps have been taken on the ground to achieve this worthy goal towards a gender inclusive society? How can the participation and contribution of women in different arenas of life, from sports to the workplace, be better recognised? In recent times, migration has become an issue of global concern. Migrants though are often just described in terms of cold statistics rather than given a human face. Many migrants face untold obstacles and hardships in their search for better prospects or to escape persecution. What personal stories can best highlight the joys and struggles migrants face? Forests cover roughly 30 percent of the world land area and are a vital resource for our survival. Yet every year, vast areas forests are cleared due to logging and agriculture, putting the survival of Earth’s ecosystem at risk. Deforestation is one of the most overlooked global crises with tremendously damaging impact to the environment and humanity in general. How can this growing problem be effectively tackled? We are pleased to present this opportunity to all AIBD members and affiliates. Supported by AIBD, these Awards will provide the opportunity for your television and radio producers to receive international recognition for their work. “The Prize” consists of US$500.00 cash, a trophy and a certificate presented by AIBD per Award topic. Winners and runners-up will be announced during the 43nd Annual Gathering / 16th AIBD General Conference & Associated Meetings, to be hosted by Public Service Media, Maldives in K. Bandos, Maldives from 21 to 23 August 2017. Please note that producers can submit one programmeper topic (limit of four submissions for the four topics) and the deadline for programme submission is 1 July 2017. Please find the relevant information on criteria, regulations and application forms for the AIBD Television & Radio Awards 2017 on our website here. We look forward to receiving your entries and application forms as soon as possible. If you have any queries regarding these Awards, please do not hesitate to contact Ms Philomena Gnanapragasam(AIBD Senior Programme Manager) at philo@aibd.org.my. AIBD will organise a Highlighting of Selected AIBD Award Entries during the 41st Annual Gathering / 14th AIBD General Conference & Associated Meetings in Chiang Mai, Thailand. The Award winning entries and runner-ups in each category will be played during this special session, in recognition of their achievement and the high quality of the programmes. The session will take place from 1400 – 1600 on 18 August 2015 and is open to all delegates of the General Conference. AIBD is pleased to announce the final winners for the AIBD TV and Radio Awards 2015. The judging session took place on 10 July 2015 at the AIBD office in Kuala Lumpur. The winners will be awarded at the 41st Annual Gathering / 14th AIBD General Conference & Associated Meetings to be held from 18 to 20 August 2015 in Chiang Mai, Thailand. The judges panel included Ms Shelley McMorrow, Executive Director, Osmosis Production Malaysia; Ms Tiffany Ang, Producer, Al-Jazeera; Mr Kamarudin Ambak, Head of Drama Unit, Radio Television Malaysia and Mr Ravi Shankar, Programme Manager, AIBD. 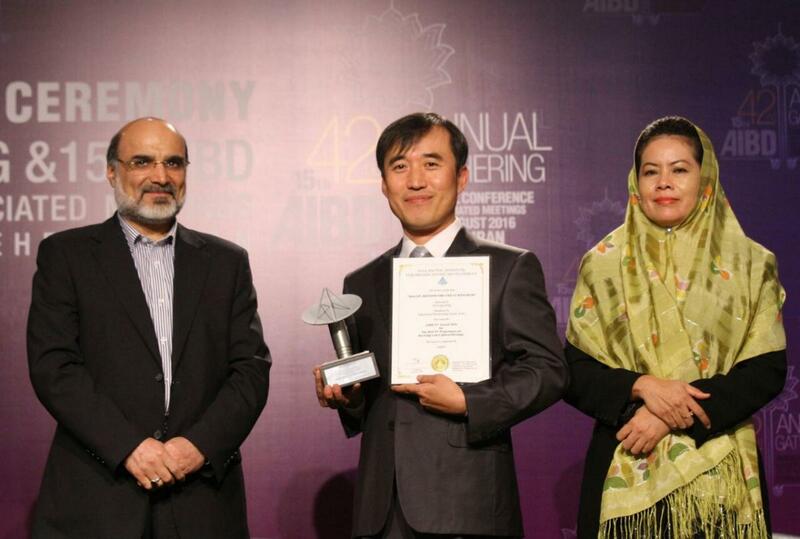 AIBD received 40 entries this year collectively for the awards. The panel evaluated the entries for the different award categories based on concept and production values. The final award winners are below. 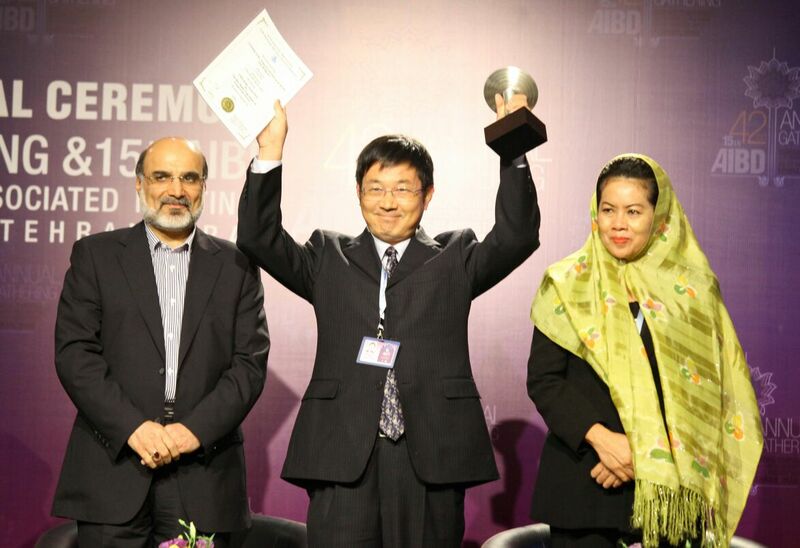 The presentation of the winners of the AIBD TV & Radio Awards 2013 was conducted at the Inauguration Ceremony of the 39th Annual Gathering and 12th AIBD General Conference & Associated Meetings in Yangon, Myanmar on 12 August 2013. The winners were each presented with a certificate, trophy and USD 500 as reward for their special programmes. This documentary looks at a Qatari camel herder who heads to Australia to witness the mass killing of camels, considered no longer useful to the state. This news feature documents the effect of the economic crisis on the internal situation in Iran, particularly on the carpet industry, which has been adversely effected. This programme looks at the Elappully village in Kerala, India, as a positive development model. The village managed to resuscitate its community and living standards to give a good example for rural development in India. 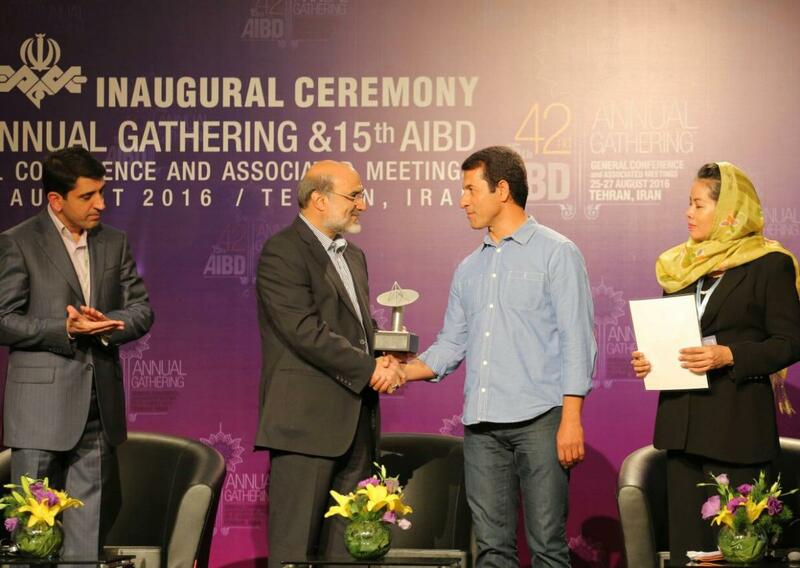 The announcement and presentation of the winners of the AIBD TV & Radio Awards 2016 was conducted at the Inauguration Ceremony of the AIBD General Conference in Tehran, Iran on 25 August 2016. The winners were each presented with a certificate, trophy and USD 500 as reward for their special programmes. In this programme, they recreate the ancient kingdom of Bagan in Myanmar and connect the audience to its interesting historical heritage. This programme explores the plight of those affected by ISIS and forced to relocate in refugee camps. This programme highlighted a terrific initiative which seeks to link rural and urban sectors to decrease poverty. This programme followed a live broadcast during an emergency scenario and the response of the local authorities to save lives. 2010 The best "infotainment/edutainment radio talk show"
We are Friend! We are Hope!